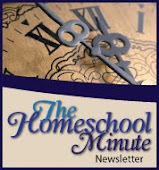 The Faithful Homeschool: If consistency is key... what's wrong with me? I have an uncanny knack of neglecting my blogging lately! I check my email every day, I write in my journal most days, so surely I can buzz into here! My hopes for this site have not changed and as I read other's blogs and various magazine and newsletter articles, I am continuously inspired. One theme I regularly come upon is the ever challenging aspect of teaching our children at home. I haven't met a mom yet that didn't have her moments of distress. Some more frequently than others! My moments come in waves. We have had some added challenges the last year and a half in our household. I have taken these trials and set them on my back, weighing me down with each step. However, our local homeschooling convention I blogged about last month awoke me to the need to 'unload' and step forward withOUT my burdens. Psalm 55:22 tells us, "Cast thy burden upon the Lord, and he shall sustain thee: he shall never suffer the righteous to be moved". But how easy is it to forget these words and drudge ahead with the weight of the world riding on our shoulders? I have spent the last month re-discovering the importance of quiet times in my life. As a mother of 4, this discovery is not easy to come by! I find my peace in the quiet times of the early morning before the pitter-patter of little (and big) feet make their way from bedroom to breakfast counter. 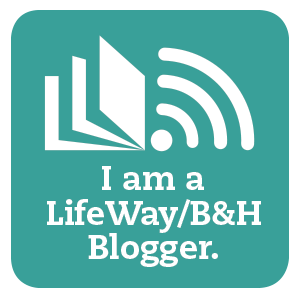 I am re-establishing my prayer and Bible study life. I am finding peace. Not all peace is permanent. I have come to understand this over the years. But for too long now I have neglected the core principle that I MUST make time for God each day if I am going to be able to "Cast my burdens". Not the quick uplifted prayers of daily life I have always muttered, but rather the sustained quiet peace of meditation opening that highway to heaven that I use to enjoy each day before the crises of recent. If I have this time... perhaps the rest of my worries will somehow find their way to my Heavenly Father's broad shoulders, rather than these small ones of mine. My message? Consistency is the key that hangs on the chain of perseverance. I hope my perseverance in my personal life will allow some consistency to prevail in my internet 'life' so that I might hope to inspire all those who wander in here looking for some hope, advice, or just plain chatter!